This post may not apply to some of you** (mainly those of you reading this post in an internet browser or though a reader like Bloglovin) but for ALL OF YOU READING THIS IN YOUR EMAIL this is important. **If you aren’t a subscriber, scroll to the bottom of this post and SIGN UP! I’m telling you.. you are missing out! 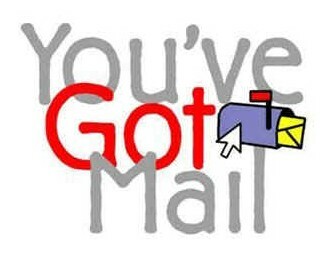 I have decided to change the way my posts are being delivered to your inbox and I wanted to give you a heads up. Currently I am using Feedburner to deliver my posts to all of you who have subscribed via email. Well, Feedburner has been dying a slow awful death for a while now, and I can no longer ignore how unreliable it has become. So going forward (after today’s post) I am changing the way my posts get delivered. The best part about this switch is that I am now able to offer a “Digest” version of my posts. So now, if you would rather not get an email every time I post, you can get only one email per week (on Monday mornings) which will include ALL the posts you missed for the previous week. You can also select which email format (text only or HTML) you prefer. Eventually the emails “newsletters" will feature additional content that isn’t available anywhere else, and I plan on doing a couple of subscriber-only giveaways** (see previous comment about how you are missing out.) For now I am just going to make sure that everyone is smoothly switched over and my posts are showing up on time and properly formatted. Thanks so much for sticking with me during this transition. I admit I am not 100% sure of what I’m doing.. This is a DIY project and I know full well that means there will be a speed bump somewhere.